Fire good, real good – just ask the person in charge of your family’s barbeque grill. It doesn’t really matter if their preferred flame thrower is a cute little Hibachi grill or a 24 carat gold bling-a-ling beast, either. Gleefully char-grilling assorted edibles cave-man style is a summertime ritual that is deeply embedded into our DNA regardless of whether our very first fashion statement was courtesy of a pastel pink or baby blue onesie. Go ahead and cue the Tim The Toolman chest pounding and grunting all you want, but there’s still plenty of wiggle room remaining for a little eco-intervention. Read on for 21 ways to inject your next barbeque with a shot of good green fun without compromising that primal oomph that makes those s’mores so irresistible! 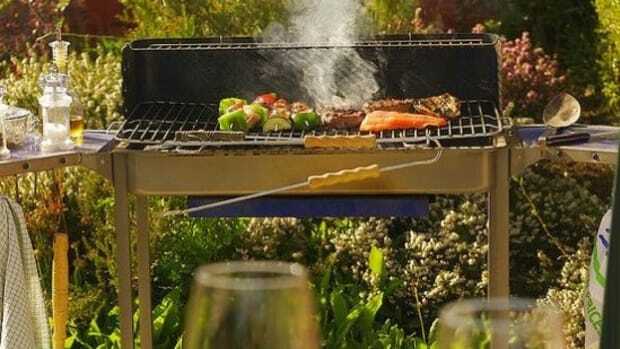 Looking for the absolute best grill in order to cut Mother Nature some slack? An infrared model offers almost instantaneous heat while consuming the least amount of energy, but a natural gas grill comes in at a close second for limited fuel utilization. Get your grill in tip-top squeaky clean condition with a natural, chemical-free cleanser (Soy Clean and Norwex offer reasonable options) or better yet, vigorously hand-scrub grates with crumpled up aluminum foil spritzed with white-vinegar or – believe it or not – an onion half. 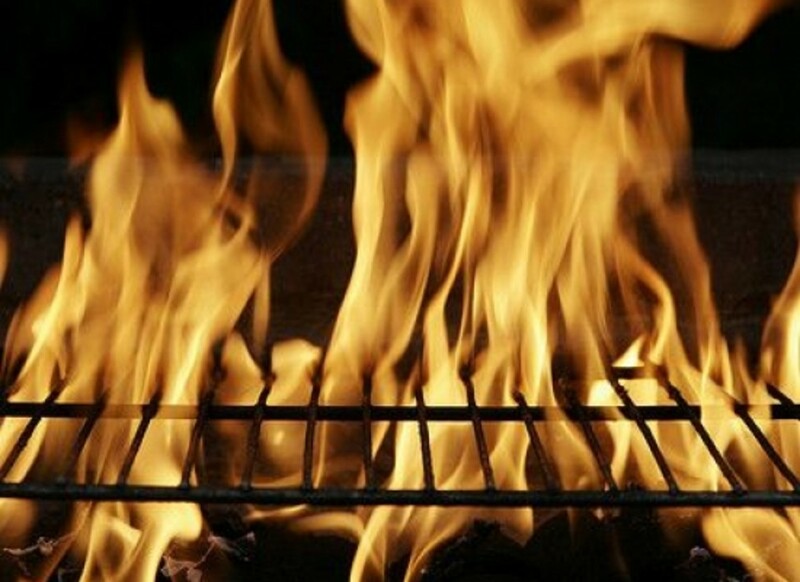 For a renewable & affordable alternative to charcoal that offers 40 minutes of grilling action, consider the biofuel-based Flame Disk, a solidified eco-fuel source poured inside a 100% recyclable aluminum container that – when burned – releases 90% fewer atmospheric pollutants than briquettes. StoveTec’s GreenFire Rocket Stove enables you to cook off-grid using a supremely green fuel source – readily available biomass such as tree limbs and yard waste, or if you prefer, plain old logs. Whichever you choose, this outdoor stove requires just a little of it for optimum flame activity while releasing a respectably minor amount of environmental pollutants. If your grill requires briquettes, try to avoid chemical-laden, carcinogenic-releasing conventional charcoal in favor of lower-temperature burning natural hardwood-derived lump charcoal. You can breathe a sigh of relief knowing that it’ll be better for you and the environment. Instead of reaching for ready-made, convenience items that typically swim in extraneous packaging, purchase basic food staples in bulk – an instant money-saver – and actually follow recipes to ensure that you and your guests end up consuming wholesome, flavorful and chemical-free options. 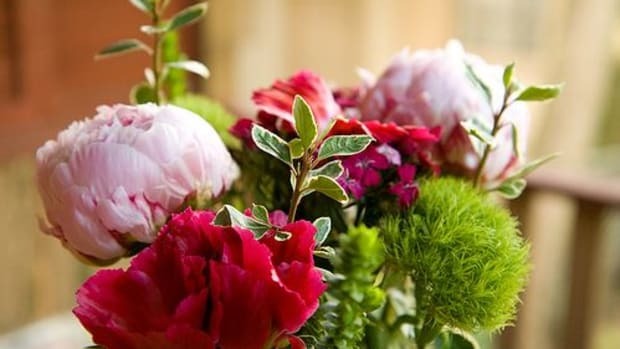 Have you been dutifully tending to your garden? 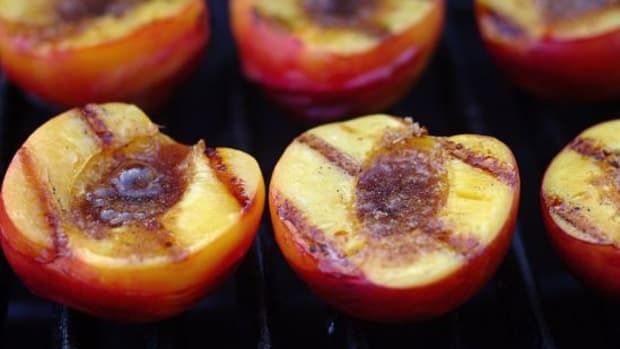 Then be sure to integrate any ripe-and-ready homegrown produce into your barbeque spread for a truly local, sustainable and chemical-free food fest. Don’t forget to participate in a neighborhood veggie swap in order to exponentially expand your barbeque offerings without spending a dime! 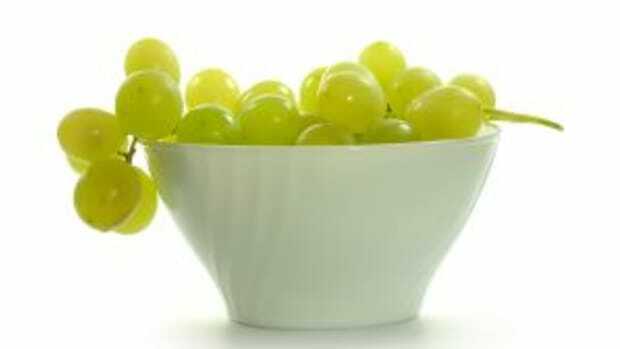 If you have no choice but to purchase conventional produce, please be vigilant about hand-scrubbing any pesticide residues with a simple yet effective mix of white vinegar and/or baking soda combined with plain ol’ water. Serve up sustainable and seasonal side dishes like a locally harvested dandelion salad, swapped garden produce salsa-n-chips, a ‘free’ foraged fruit crisp, etc. If only animal-based protein will do at your barbeque, make a point of grilling locally raised, organic, grass-fed, hormone-free cuts from reputable purveyors such as Applegate Farms, Niman Ranch, Organic Prairie, Laura&apos;s Lean Beef, etc. For those with a flexitarian perspective, try grilling half and half – 50% traditional meat augmented with 50% flavorful yet satisfying veggie meat alternatives such as Field Roast Grain Meat Company’s sausages and Sunshine burgers. 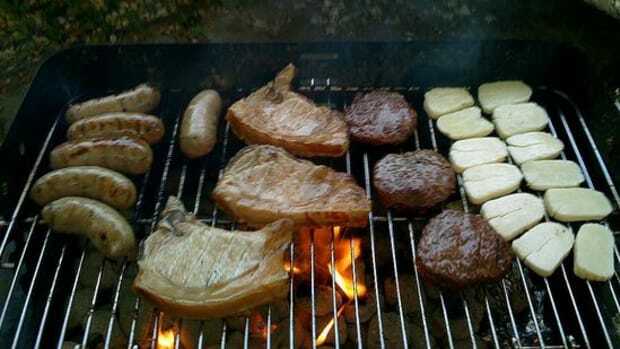 Carnivore guests may even become inspired to seek out greener veggie meat alternatives once they leave your barbeque! Make the most of your garden bounty by blending spirited libations featuring the fantastic fresh flavors of summer. Here are some positively delicious recipes to sample… chug… and maybe even share with your guests if you can exercise enough restraint to cut yourself off before they knock on your door! When you hand-pluck all of the dandelions from your organically-treated lawn, you’ll benefit from the eco-trinity of free exercise, chemical-free weed control and urban foraging. Take it one step further by transforming those sunny yellow flowers into your very own healthy yet oh-so-naughty batch of wine. Tight schedule? Then amble over to your local liquor purveyor in search of organic and biodynamic wine offerings from Jack Rabbit Hill, Frey Vineyards and Aum Cellars among many others – Barnivore’s handy app will save you even more time if you’re partial to vegan-friendly blends. Nothing says ‘barbeque’ better than beer and one of the greenest breweries in the country – New Belgium – powers their facility with wind! Of course, you might choose to purchase your preferred brew in 64 ounce infinitely refillable glass growlers rather than individual bottles or get down and dirty simply just by making your own hoppy pop. Prominently display recycling bins right next to your outdoor eating area so guests know without a doubt that you’re rocking a waste-free zone (you can even spruce up your containers for a color-coordinating, party vibe). 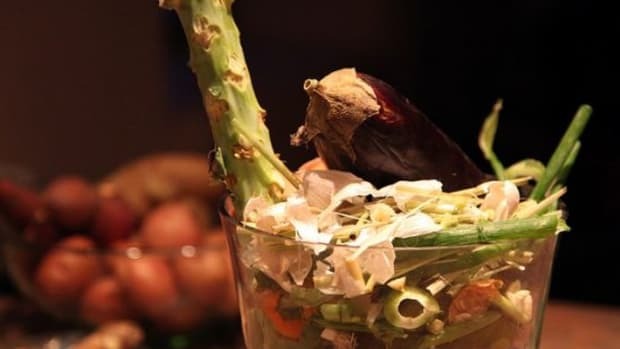 Ask guests to help you curb edible food waste by taking smaller portions up front, letting them know that they are more than welcome to help themselves to ‘seconds’ if their stomachs really are bigger than their eyes. Once you turn off your grill’s power source, take advantage of the remaining ambient heat to ramp up the finger-licking gooey-good factor of desserts such as s’mores, cookies and fruit crisps. 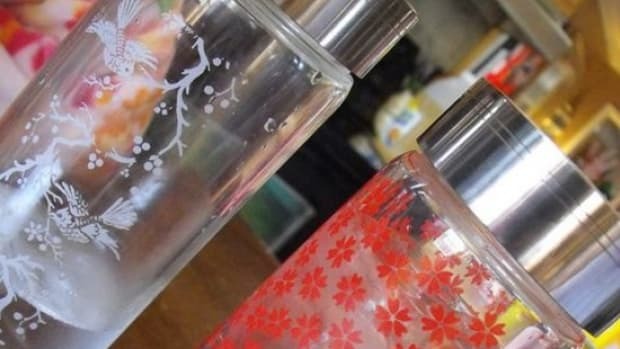 Eliminate post-barbeque food waste by divvying out leftovers to each guest in reusable containers that you’ve asked them to tote along (or if you&apos;re a big spender, supply them with their very own brand new eco-container made of glass or stainless steel).